Destiny 2 update 1.2.3 is scheduled to hit on July 17, about a month and half before Forsaken comes in and completely changes the landscape. While September’s expansion will offer players a chance to climb to a 600 Power level, update 1.2.3 will introduce a brand new Destiny 2 Power level cap to entice players to climb the ranks a little bit before then. As of July 17, the Power level cap will be increased to 400 (likely 405 with mods) from the current 380 (385 with mods). It’s unknown if the mod changes coming in September will keep the same +5 modifier that legendary mods offer players. In order to hit 400, players will have to participate in two activities this summer. 400 Power weapons will drop from the new Prestige Raid Lairs. Completing Prestige Spire of Stars and Eater of Worlds will reward players with Raid weapons up to the new 400 cap, being the only way to pass the current cap before Forsaken’s release. 400 armor will drop from the Summer Solstice event. Details are currently scarce on the Summer Solstice event, but Bungie thoroughly outlined the new and long-awaited Prestige Raid Lair challenges. 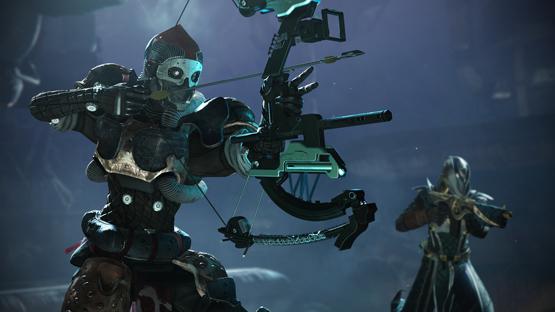 Every week will feature a new curated weapon suite and global modifier for both Raid Lairs. Weapon loadouts will be restricted to weapon types, so players will be free to choose their favorite weapons within the set restrictions. For example, one week may feature Auto Rifle/Submachine Gun/Sniper Rifle and players would be free to swap between any weapons that fit that archetype loadout. It’s not currently clear if the restrictions will be based on weapon position, or if the first two are interchangeable between kinetic and energy weapons. At launch, the Prestige Raid Lairs will rotate among three modifiers. Two are brand new and built from the ground up for the raids, while the third on is Prism, a modifier that switches which element does damage every 30 seconds. Bungie says that the modifiers will offer advantages to players that lean into them, a far cry from the currently punishing modifiers that other activities feature. Their goal is to change the way that people play, challenging typical loadouts and strategies with new ones. Solstice of Heroes is on the roadmap for July 31, which is a Friday. Typically Tuesday’s are Destiny’s big release days, so it’s unusual to see a new event scheduled to start on a Friday. This event will allow players to earn 400 Power armor somehow, but Bungie hasn’t yet detailed this Summer Solstice event. Meanwhile they’ll have about a week and a half to earn a bunch of 400 Power weapons from the Prestige Raid Lairs before then. In addition to the 400 Power weapons, players can earn exclusive Raid armor ornaments and certain Exotic Masterwork catalysts by playing the Prestige Raid Lairs. Will you be grinding up to the new Destiny 2 Power level cap this summer?